Apple bans cryptocurrency on its devices. 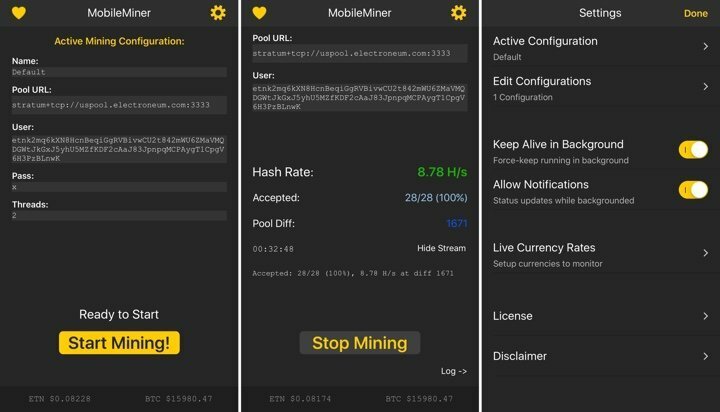 Last week, at this year’s Worldwide Developers Conference Apple has released new App Store guidelines which outright ban cryptocurrency mining on both iOS devices and Mac. AppleInsider first spotted the changes to the policy on Monday. In an entire section, Apple states: “Apps may facilitate virtual currency storage, provided they are offered by developers enrolled as an organisation." In addition, apps may not mine directly for cryptocurrencies, unless the mining is performed in the cloud or otherwise off-device. Apps may "facilitate transactions or transmissions of cryptocurrency on an approved exchange, provided they are offered by the exchange itself." Although, apps facilitating Initial Coin Offerings (ICOs) must originate from "established banks, securities firms, futures commission merchants (FCM), or other approved financial institutions." Finally, cryptocurrency-related apps "may not offer currency for completing tasks, such as downloading other apps, encouraging other users to download, posting to social networks.” Cryptocurrency mining is a new form for people to generate income, however mining needs a lot of computing power, and expensive graphics cards and in some cases people are using IMac, MacBook Pros, iPhones, and iPads. Apple is making it very clear, that the manufacturer does not want to support any cryptocurrency apps that could "mine." This is also the first major manufacturer to outright ban cryptocurrency apps, available via a software store.